across northern Eurasia in moorland and bog areas near to woodland, mostly boreal. 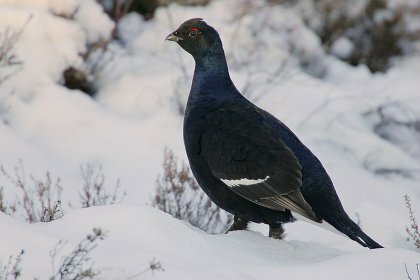 The Black Grouse is closely related to the Caucasian Black Grouse. 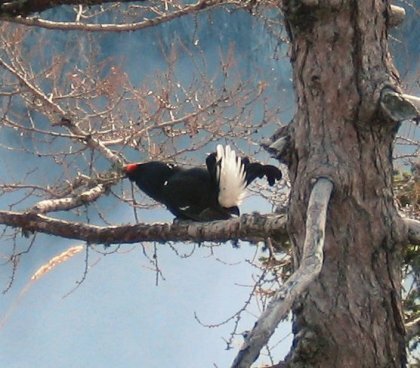 with black plumage, apart from red wattles and a white wingbar, and a lyre-shaped tail, which appears forked in flight. His song is loud, bubbling and somewhat dove-like. 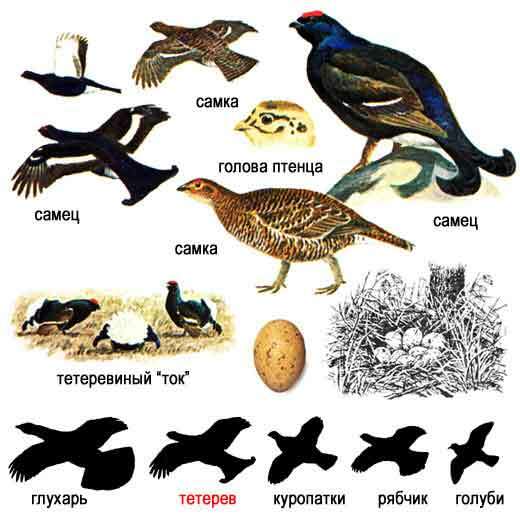 as is typical with gamebirds. 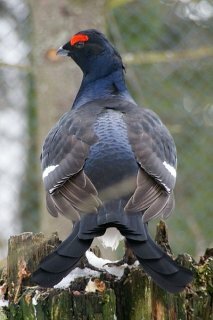 in Denmark, but the Danish Ornithological Society (DOF) has considered it extinct since 2001.
and small populations gradually dying out.